Patriot Environmental Services announces that it is the first in the state of California to be approved as an Inland Oil Spill Response Organisation (Inland OSRO). Patriot has been a California-approved Marine Waters OSRO since 2003 and has successfully responded to thousands of oil spill incidents. With this OSRO rating revision, Patriot has approval to provide expanded OSRO coverage for a variety of additional facilities under the jurisdiction of the California Department of Fish and Wildlife, Office of Spill Prevention and Response (OSPR). Last year, Senate Bill 861 was signed into law by Governor Brown and created a statewide Oil Spill Prevention and Response Programme. This bill authorised the Administrator of OSPR to develop emergency regulations to begin programme implementation. This legislation expanded the OSPR programme to address oil spill response and planning for all surface ‘waters of the state’ at risk from oil spills. Thus, certain inland facilities, such as oil production facilities, pipelines and terminals, refineries, and railroads must file an oil spill contingency plan with OSPR for review and approval. They must also have a ‘Rated OSRO,’ such as Patriot, under contract. 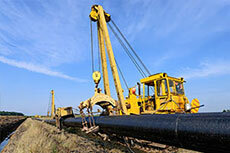 Magellan Midstream Partners have resumed operations of its crude oil pipeline after 42 000 gal. spill in Oklahoma on 5 November. 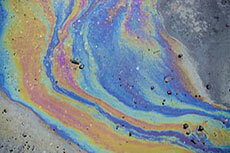 Oil spill management market to reach US$114.4 billion by 2020 due to rising pipeline and seaborne transportation of chemicals and crude oil.